Take a proactive approach to accounting and filing and you'll be in much better position when it comes time to pay your self-employment taxes this year. As a UK citizen your self-employment tax requirements will depend on whether you’re set up as a sole trader or limited liability company. As a sole trader you would be required to pay national insurance contributions and income tax. Under the PAYE system a wage earner (employee) is not required to file a tax return; however, self-employed individuals must calculate how much they owe in taxes and file a return – a process known as self-assessment. 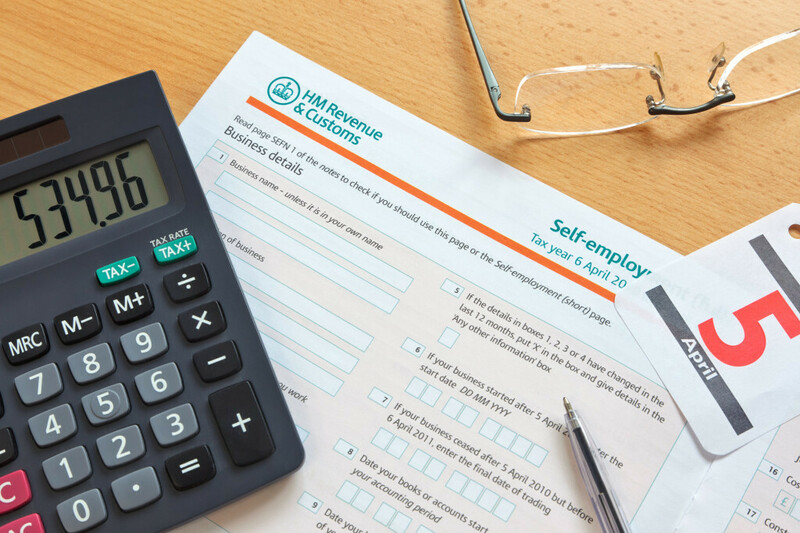 If you have an annual income higher than £30,000 you would file form SA100 with HMRC; individuals with incomes lower than this amount would file using form SA200. These returns must be filed by 31 January if you’re filing online, or by 31 October if you’re filing manually. Keep in mind as a sole trader you’re also responsible for paying Class 2 national insurance contributions, which in 2013 are set at a fixed weekly charge of £2.65. This contribution can be paid on a monthly or bi-yearly basis via direct deposit. Also, you’ll have to pay a 9 percent Class 4 national insurance contribution on any annual profits between £7,605 and £42,475; annual profits greater than this are taxed at the rate of 2 percent for the Class 4 NIC. If you’re an individual operating a limited liability company then you would be required to pay corporation tax and you would file your accounts and returns with Companies House. The main tax you’ll have to pay as a limited company would be “small profits” tax, which is set at the rate of 20 percent for profits under £300,000 and 24 percent for any profits over this amount. Also, whether you’re a sole trader or limited liability company, if you have an annual turnover of greater than £77,000 this year then you’ll need to register for value added tax (VAT). Can you reduce the amount you owe in self-employment taxes? There are two main ways you can reduce the amount you owe in self-employment taxes this year. You can invest more towards business expenses and file these expenses as deductions, or if you’re operating a limited company you can hold onto profits and distribute them as dividends next year, which would effectively reduce the amount of income tax you’d have to pay on dividends this year. Can you file for a deadline extension? On the topic of deadlines, the first fact you should be made aware of is that you are required to notify HMRC within 3 months of becoming self-employed or you could face fines. If you foresee a problem paying your corporation tax or small profits tax on time then you’ll need to contact HMRC to discuss a temporary deadline extension. They recommend contacting them via phone for the most responsive service, however you could also send them an email or visit one of their offices. If you’re eligible for an extension then HMRC will grant you a ‘time to pay’ payment plan that will let you pay off the taxes you owe in installments. Debt issues can cause serious damage to your credit score and affect your ability to obtain future financing, so don’t let such issues get you in trouble with HMRC. Take a proactive approach to accounting and filing and you’ll be in much better position when it comes time to pay your self-employment taxes this year. Keith Tully has been in Corporate Insolvency and Finance since 1992, working at senior levels along the way. Currently he is the managing director of his own business rescue and finance firm, which supports companies in trouble. Should I Register as a Sole Proprietor?